Harvested corn can come in large quantities, and whether you are picking the ears yourself from a private field or buying them in bulk, it's possible that you won't be able to make immediate use of the ears. Storing them can be useful, but doing so properly is important. If you aren't careful, corn can develop mold, attract worms or simply lose its ideal flavor in storage. You should move quickly to take care of any unused corn to preserve its quality and reduce the risk of losing it to spoilage. Cut off the shank of the corn -- the knobby extension protruding from the end of the corn ear where it connects to the stalk. This is one of the best places for worms to develop, and removing the shank with a knife will extend the life of the corn. 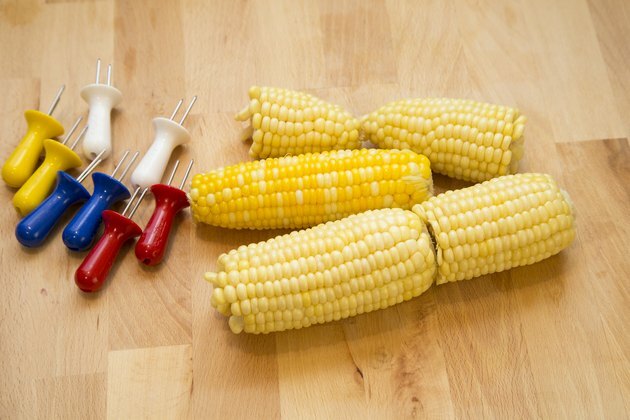 Place ears of corn in your refrigerator as soon as possible. Leave the husk on, if possible, and let the corn sit in the fridge uncovered. Keep the temperature at or below 40 degrees to reduce the amount of natural sugars in the corn from turning to starch at higher temperatures. 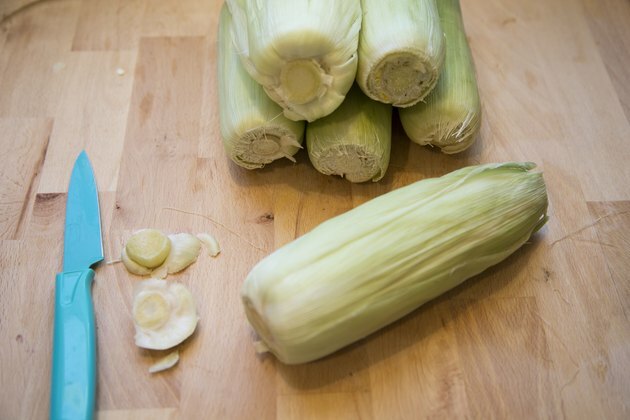 Remove from the refrigerator and use within two days. 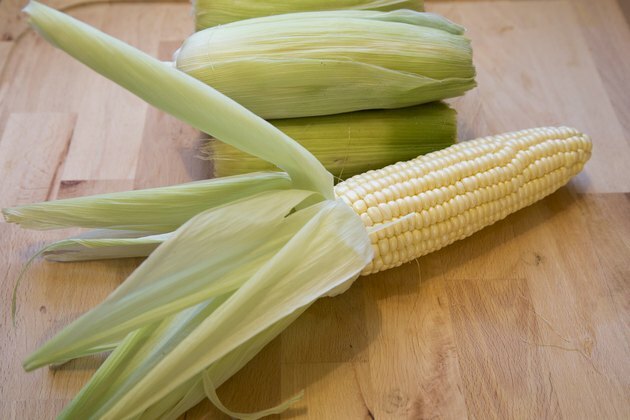 Blanch corn ears to freeze them by bringing a pot of water to a boil and placing the ears in the water. Do about seven minutes for smaller ears or 9 minutes for larger ears. If corn is larger than 12 inches, blanch for 11 minutes. Then, cool in ice water for double the amount of time the ears spend boiling. This will kill enzymes that can ruin the corn during freezing. Store the corn in a freezer. 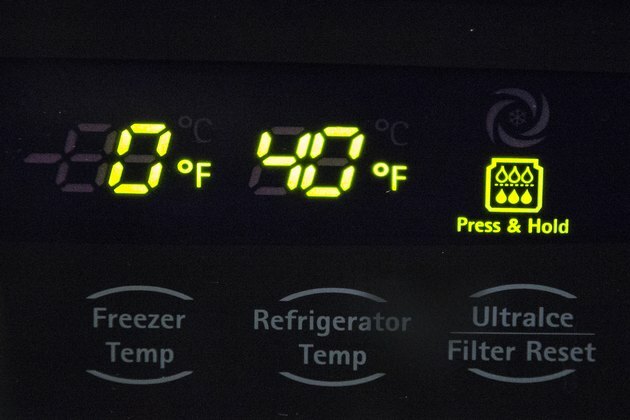 You can store the corn for up to 12 months at 0 degrees Fahrenheit. 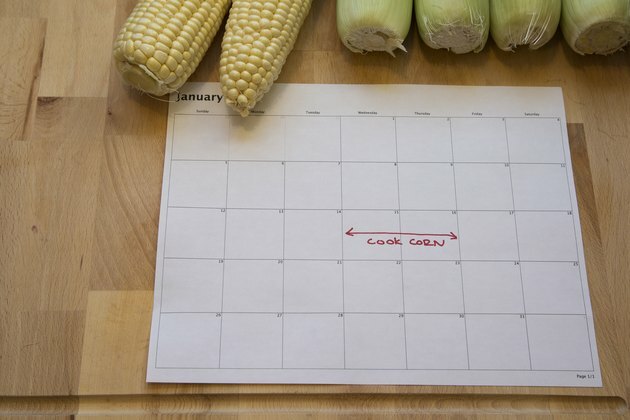 To use the corn, remove it from the freezer and allow it to thaw before preparing it.